Construction of the South Valley Adult Daycare and Respite Center located in Albuquerque’s South Valley is set to begin in April 2018. This project is collaboration between the City of Albuquerque, Bernalillo County, and the State of New Mexico. View PDF Renderings here and here. South Valley residents advocated for an Adult Day Care and Respite Daycare Center to meet the growing needs of South Valley and Southwest Mesa residents who are taking care of their elderly and disabled family members. In 2010, the New Mexico Legislature and then Governor Bill Richardson appropriated dollars for the construction. 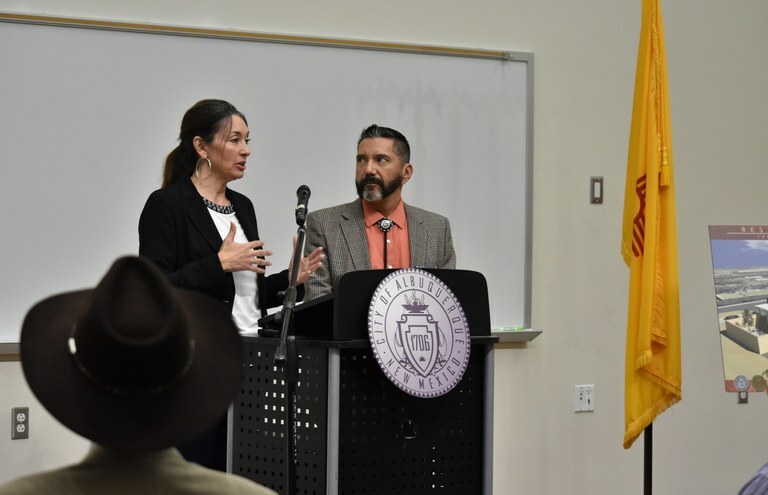 The project had some delays and hurdles to overcome so in 2014 Councilor Klarissa Peña initiated discussions with City of Albuquerque staff and Bernalillo County representatives to help move the project forward. The sponsoring legislator, State Representative Miguel Garcia was able to reauthorize the funding to extend the time and designate the City of Albuquerque as the entity responsible for the project. The City of Albuquerque and Bernalillo County signed a formal Memorandum of Understanding last fall to allow for construction of the Respite Center on property where the current South Valley Multipurpose Center is located at 2008 Larrazolo Rd SW. The city’s Department of Senior Affairs is the project manager and has awarded a contract to Vigil and Associates Architectural Group for the design and construction. Total costs of design, construction, equipment, furnishings and other related expenses are $1,041,693. Construction is expected to begin in April, 2018. Once completed, the city will contract with a service provider for the day to day operations of the Center.